​Manchester United club captain Michael Carrick has explained why Manchester City still have a way to go before they can be considered the best team in Premier League history, with success over a sustained period, as United achieved from 2006 to 2013, the real key to greatness. "Arsenal's 'Invincibles' was an unbelievable achievement," Carrick said while speaking to former United star Gary Neville in an interview for Sky Sports. "Your '99 team was outrageous to do the Treble. For us, we hit a high level, but the most satisfying thing is that we kept that high level over a period of two, three four years," he added. United won the Premier League title in each of Carrick's first three seasons at Old Trafford and added further titles in 2010/11 and 2012/13. They also won the Champions League and played in two further finals during that time and were a dominant force. "We were right up there; three Champions League finals in four years and we won five leagues out of seven, losing one by a point and one by goal difference," the veteran said. "I don't know how you judge it, but I was fortunate to be a part of it, it was a great time." 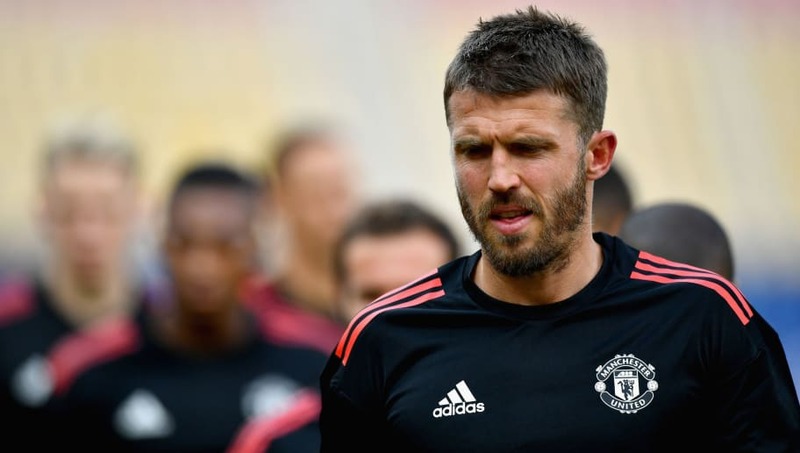 Now aged 36, Carrick is nearing the end of his final season at United as he prepares to retire and step into a coaching role as part of Jose Mourinho's backroom staff. And the idea of one day becoming a manager himself is already something he's actively contemplating. "Three or four years ago I probably wouldn't have thought I'd go down that route," he said of coaching and management. "It wasn't until I started my coaching badges that I found that I enjoyed it. It looks easier than it obviously is! But of course it's not easy. There is an element that keeps nagging away at me in games where I think what I would do, what would I change etc." Carrick has already shown he can influence players in positive ways, drawing recent praise from Paul Pogba after the Frenchman's brace in the 3-2 Manchester derby win over City. "I just kept it simple and said 'this is what you are' and 'this is what you're good at'. Listen, he scored two goals, so it's not down to me. I'm glad I did obviously because it showed little things do register with players."